Refrigerated water for sale in the RCC Bookstore. According to Food and Water Watch, a nonprofit organization, a majority of cost of a water bottle goes to the packaging. Eskew is currently working on this campaign with Rose Calderon, co-campus coordinator for Food and Water Watch. The ultimate goal of the campaign is to ban all plastic bottle use on campuses. Many of the sustainability club members are involved in the campaign. “Take Back the Tap” is a national campaign started by Food and Water Watch, a non-profit organization whose mission is healthy food and clean water for all. They are working with students at colleges and universities across the United States to promote tap water over bottled water on their campuses. Over 70 colleges and universities have passed full or partial bans on bottled water. According to Food and Water Watch.org, the average price for a gallon of tap water is less than half a penny – about 0.004 in 2012. When consumers pay for tap water, they are not necessarily purchasing the water itself. Instead, they are paying primarily for the service to get the water, treat it and send it to the faucet. In comparison, the price for a 16.9 ounce bottle of water ranges from a dollar to $1.50. Using an average of $1.25, a gallon’s worth of 16.9 ounce bottled water would cost almost $9.50, which is nearly 2,400 times the price of tap water. The website also presents the research that almost half of the bottled water sold today comes from municipal tap water supplies. When bottlers aren’t selling municipal water, they are pumping and selling common water resources that belong to the public. Despite California’s water crisis with the historic drought, the bottled water industry has subtly made the piping of millions of gallons of water from national forests and selling it in a plastic bottle the norm. In April, an article in “The Desert Sun” exposed the fact that Nestle Waters, the largest bottler of water in the world, is drawing millions of gallons of water a year from the San Bernardino National Forest on a permit that expired in 1988. Advocating for environmental issues to preserve the Earth and its resources are especially important to Eskew as a parent. “I don’t want to see my son grow up in a world where people don’t care about the Earth. Where things are allowed to happen that are not in the interest of the people on the Earth, they’re in the interest of money,” Eskew said. As part of their campaign the group is working with the Associated Students of Riverside City College to get a bylaw passed to prohibit the sale of bottled water on campus. ASRCC Senator Aaron Moran advocates for environmentalists, veterans and Science Technology Engineering and Mathematics majors on campus. Student demand and action are what both Moran and Eskew said are the first steps to creating an impact. He believes that colleges should be the most progressive part of society but is disappointed by the current state of student participation on campus. 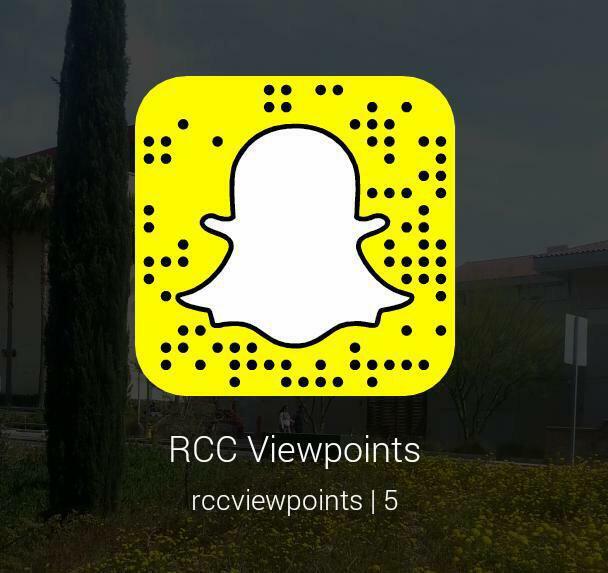 “RCC is a dead campus and you can quote me on that, because that is my opinion. The amount of student involvement is so minimal that the college education here … doesn’t enrich and bring us together like it should as a campus,” Moran said. Eskew said she would like to see more community engagement especially from students because she believes students have the ability to create lasting change. “It just takes getting involved and actually doing instead of talking about it,” Eskew said. The campaign members know that this isn’t an easy task and Eskew said that getting people to change their habits is the most challenging part of this proposition. Funding is another barrier that clubs face. Every semester there is a finance committee that consists of ten people from the different branches of ASRCC that decide the budget for student programs, clubs and organizations. Moran is on that committee and is aware of how much money is available to the clubs and where it goes. Clubs who are looking for funds will put in their requisition and give a presentation to the committee. They explain how they will spend every cent and if it is approved it will go to the senate to vote on for funding. Since student senate can pass bylaws they are a crucial part of the success of a campaign or for obtaining funding for club goals. I’m not the sure the Senator in this article is using the right word to associate action by the student body. A “bylaw” is a rule or procedure that has an administrative motive that affects the student senate only; it’s not something that this senator thinks it is. What he is thinking is a Resolution. Not only that, but a resolution is just a recommendation to the college (if directed to the college) on what ASRCC’s position is on a certain matter. ASRCC cannot dictate, or even promise, that this certain matter will take effect or that ASRCC will ban water bottles outright. My concern as a student is that maybe this senator doesn’t know the right process and might make things harder than it really needs to be? From my perspective, this senator seems a little ambitious, a little too ambitious. “Balancing the budget” of athletics? Clearly he wants to take away funding from some of RCC’s best athletics teams (some which are top ranking statewide). Athletics is already on a constrained budget, so cutting funding from where it benefits the students and the college wouldn’t be such an effective motive. ASRCC has a lot of institutional history and precedence, and this senator seems pretty new. Hopefully he will realize the restrictions in place and how much ASRCC can only do. Also, an ASRCC rep. has already been researching better ways to conserve water on campus and cut down plastic water bottle usage. Charlie Zacarias has been advocating for “Hydration Stations” on campus during this semester. The initiative is in the process, so maybe contact him for more information? It looks like a better start than what the senator is suggesting in this article. So If I am hung over and NEED a bottle of water. I can’t get one?